Is there bread that is actually healthy? Obviously white bread, rolls, buns, and crackers are problematic, but even among the healthier bread varieties, there is a significant variance. Which one should you choose? Below are the healthiest bread options to eat. Refined carbs, including sugar and white flour, feed bad gut microbiota and promote weight gain as well as poor health, mental decline, and depression. Refined carbs do genuinely deserve their bad rap so stay away from them! Despite people’s carb phobia and the anti-carb movement, whole grains are essential to feed your health-promoting gut bacteria, decrease chronic inflammation, and even fight fat weight and disease. You need to eat some whole grains. I’m not saying a lot of whole grain carbs, but some to provide your body with these important health advantages. I recommend eating between three and six servings (1 slice or 1/2 cup = 1 serving) of whole grains per day. Whole grains includes grains like oats, brown, black, or red rice, sorghum, farro, quinoa, barley, popcorn, whole wheat and much more. If you are in athletic training, you may need more for energy and to protect your muscle. You can completely skip bread and just eat other whole grains, but do you really want to forgo avocado toast or all the other delicious ways to enjoy bread? Don’t miss out on a slice or two of health-promoting bread as one or two of your 3 to 6 whole grain serving per day. Eat a variety of other whole grains for the rest of your whole grain servings. Good News for those that may feel a little blah after eating bread or have non-celiac gluten sensitivity, whole grain sourdough bread and sprouted grain bread may allow you to still partake without digestive issues. Ideally, bread made with a starter full of nutritious microbes, taking three days (or at least 12 hours like traditional methods) instead of three hours (like commercially made bread), is your best pick. The fermentation process used to make sourdough bread slows down the absorption of the sugar into the blood, breaks down the gluten into smaller fragments for improved digestion, and breaks down phytic acid for improved nutrient absorption. Although portion control is key, this process helps the nutrients in whole grain flour to be more available and the carbs less available. 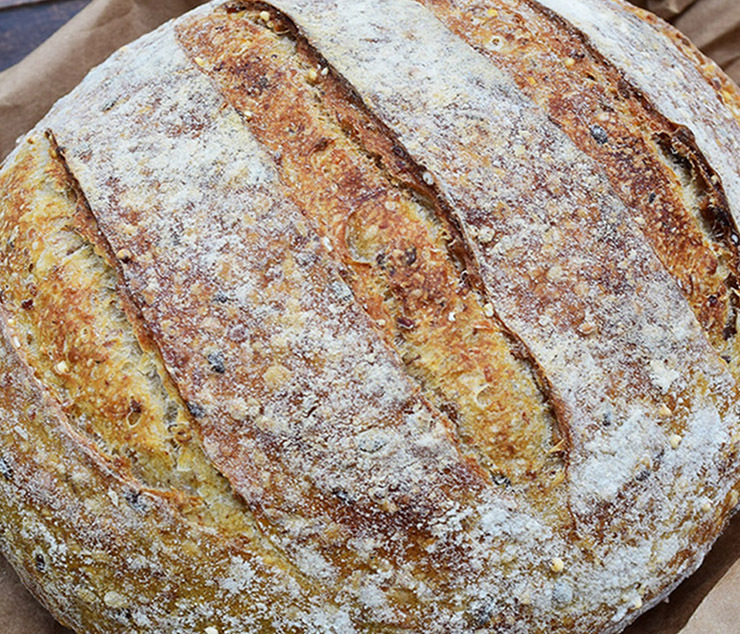 Commercial sourdough bread probably has not been fermented for 12 hours and won’t provide you with the health benefits that a long-fermented sourdough bread made with whole grains offers. You’re most likely to find whole grain long-fermented bread at a farmer’s market or an artisan bakery (like Loaf in Durham, NC). When you do find sourdough bread at a bakery, make sure it’s made with whole grains and a long fermentation time. You will have found the pot of gold at the end of the rainbow. It tastes so good! You may be wondering about the sprouted grains popping up in the grocery stores. When whole grains and seeds are soaked and left to germinate, and the new sprout is still shorter than the original grain, then it is considered a sprouted grain. Sprouted grains are whole grains, as they still contain the bran, germ, and endosperm. In fact, you can’t sprout a refined grain because the sprout itself comes from the germ. New sprouts digest some of the grain’s starch, making it easier to digest. Sprouted grains also slightly increase nutrients, including essential amino acids, often lacking in flour. There is also an increase in how much your body absorbs nutrients such as iron, manganese, and calcium after sprouting. 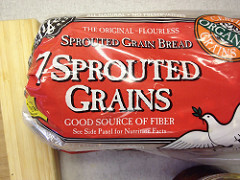 There is no regulated standard definition of “sprouted grains,” so sprouted products could vary. The nutrient changes that occur with sprouting differ greatly depending on the type of seed sprouted. There are also so many other variables that go into sprouting grains or seeds that you don’t know what conditions or for how long the sprouting has occurred in these products. Labels shouting sprouted grains or seeds may not be a good indicator of how much of the sprouted grain is used. Processed foods may use sprouted grain or seed as a way to lure you into thinking they are healthy. Avoid products that are made with refined flours. Even ancient grains can be made into overprocessed flour. If other grains are used, make sure they are whole grains. Look at the ingredient list and evaluate what grains are used and where they are on the list. The higher up on the ingredient list, the more there is of that ingredient. What other ingredients are used, what type, and how far up the list is sugar? 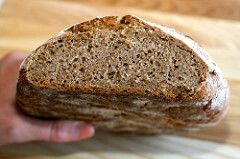 While not as beneficial as whole grain sourdough made with a long fermentation time or maybe even sprouted grain bread, 100% whole grain bread can be much better than all refined bread made with white flour and even most whole wheat bread.  But among the numerous choices at the store, there is a vast difference in their nutritional quality. Whole-grain flours are made by grinding up whole wheat kernels, unlike refined flours that are stripped of the nutritious bran and germ before they get sent to the grinder. Along with the germ and bran part of the grain goes 80 percent of the fiber and most of the nutrients. Unfortunately, food manufacturers exploit the FDA rules and process whole wheat flour the same as refined flour but then add back the germ and bran in proportions that equal those of intact grains. To avoid this trick, look for bread with 100% whole grain or whole grain as the first ingredient on the label. “Whole” and “grain” are the magic words here. If it reads “whole wheat grains” rather than “whole wheat flour,” then you’ll know you’re getting the entire grain rather than the whole grain in separated parts. This is the same distinction to look for no matter the type of grain used in the bread even if it isn’t wheat. 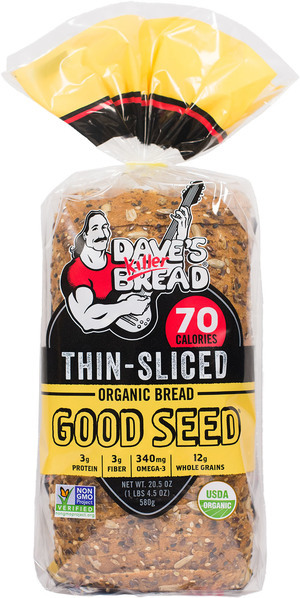 Dave’s Killer Bread, sold across the country, offers great tasting whole grain options that haven’t ripped apart the whole grain first and then added them back in later. I’m particularly fond of the thinly sliced varieties because two slices count as one whole grain serving. Unfortunately, eating gluten-free bread doesn’t usually translate to healthy carbs. They are often made with corn, potato, rice, or tapioca starch, all of which are low in fiber and nutrients while causing blood sugar spikes. Plus, more oils, starches, and gums are added to improve taste and texture since gluten-free grains don’t easily form bread. With any gluten-free products, choose bread made with nutritious chickpea flour or ground gluten-free whole grains like oats, quinoa, amaranth, and millet flours. Almond flour is another healthy gluten-free flour. You don’t have to break up with bread completely. There are delicious, healthy bread options. Traditionally made sourdough bread made with whole grains and a long fermentation time is a wise bread pick. Some sprouted whole grain bread brands are right there too. Along with these bread choices, some 100% whole grain bread options are helpful to your health as well. 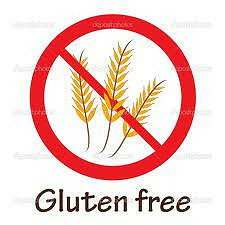 Even gluten-free bread made from healthier grains are available for those suffereing from Celiac disease. Skip the white refined stuff, even when eating out! Take this month’s Health Challenge to choose these healthier whole grain bread options instead. Eating refined, processed grain, such as white bread and buns, are foods that increase your body fat and contribute to illness and grogginess. Whereas whole grains actually help you decrease your body fat, absorb fewer calories than refined carbs, fight inflammation and disease, and keep your mind alert. You don’t have to be fooled by the seemingly healthy varieties of bread anymore. In fact, you can enjoy old world bread that tastes better. Have your bread and eat it too! Look for my new book, Lean Body, Smart Life: 12-Fixes to Boost Health While Juggling it All, coming out in August 2017. Besides the 12-Fix Lean Life Plan layout in the book, it’s packed with practical tips to help feel and look spectacular! You were probably thinking chocolate for Valentine’s Day, but since red grapefruits are so amazing for you, maybe you could throw some in the festivities. After all, it is national grapefruit month, and they are pretty red inside! Their powerful nutrients boost the immune system, fight cancers with gusto, decrease the risk of heart disease, and even give us an edge in the battle to lose weight. Named by how they grow in clusters like grapes, this deliciously tart yet sweet fruit may be a much-needed health reprieve for your body after gorging on Superbowl and Valentine goodies.